Wednesdays at Mongoose Casino will never be the same again! Mongoose Casino is thrilled to announce the introduction of a 50% Deposit Match bonus up to £150 valid any time from UTC 00:00:00 to UTC 23:59:59 every Wednesday. Yes, you read that right, every Wednesday! 50% Deposit Match bonus up to £150. This bonus is only valid once from UTC 00:00:00 until UTC 23:59:59 every Wednesday. Single minimum deposit of £10. Go to Deposit in your account settings. Deposit using your preferred payment method. At stage 2 of the deposit process, choose “Reload Wednesday”. Enter the deposit amount, upon which you bonus amount shown as well. Once you have completed the deposit process, you can activate the bonus under your account. Bonus amount usable only after your cash balance is used. Bonus is playable only on Slot games (excluding Jackpots). Maximum bet size on a slot game (excluding jackpot games) is £5 per spin. Any bets over the maximum bet size will not contribute to the wagering requirements. Any bets over the max bet may increase the wagering requirements of the bonus. Wagering requirement for this bonus is 35x. Bonus will expire 3 days after activation and must be used/completed within this time. 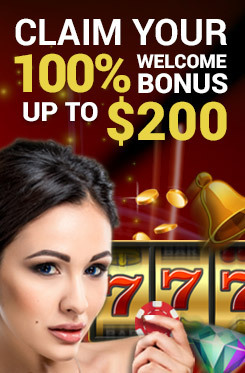 Bonus is only available to players who have received the invitation from the casino. Once players meet the wagering requirements, the amount can be treated as cash and can be withdrawn. When withdrawing your winnings, the standard Mongoose Casino banking and security protocol applies. Click here for full details on account verification. For more information about cash withdrawals, go to our Cash out page. If you are eligible for this bonus but find that you are unable to claim it or it is not offered to you, please contact our customer support team for assistance.